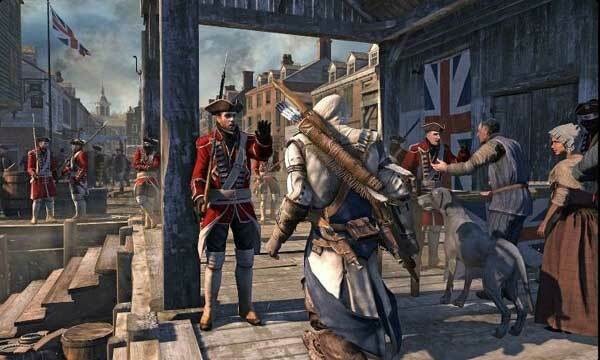 Set between the years 1753 and 1783, the war between the Assassins and the Templars has moved to Colonial America. The player takes on the role of a young, half-English, half-Mohawk man named Connor Kenway (also known by his birth name, Ratohnhaké:ton), who is drawn into the fight against tyranny when his home is attacked by white colonists. Over the course of the game, the player will encounter historical figures including George Washington, Benjamin Franklin, Thomas Jefferson, Israel Putnam, General Lafayette and Charles Lee. The story will span 30 years of Connor's life.